Interview: Shelby Gaudet of The Radiation Flowers. 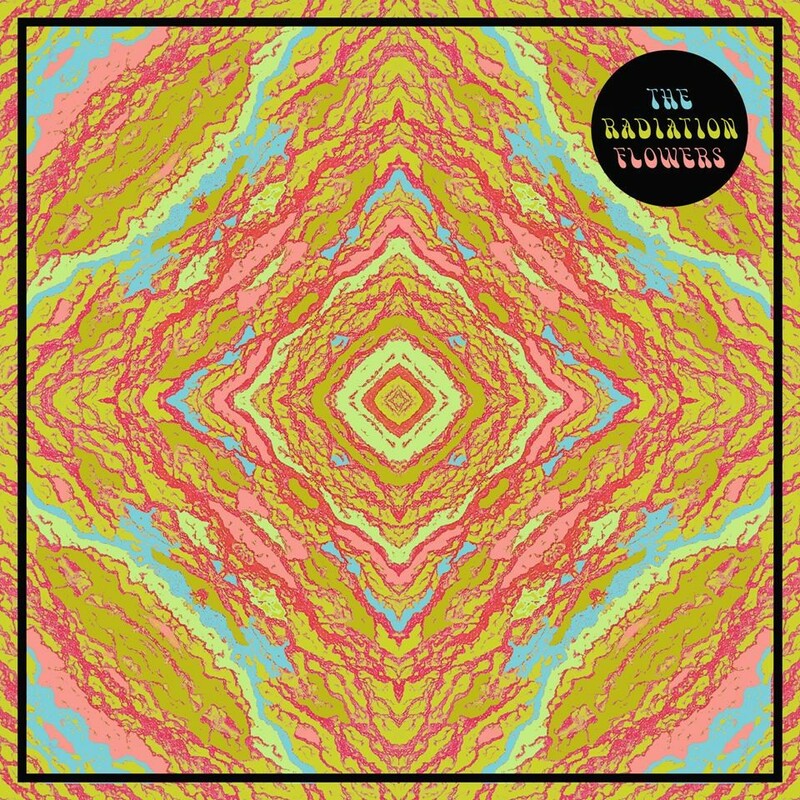 When the Sun Hits first encountered the dreamy, hazy, twilit-to-nocturnal sound of Saskatoon, Canada’s The Radiation Flowers when The Active Listener reviewed their 2013 debut album. 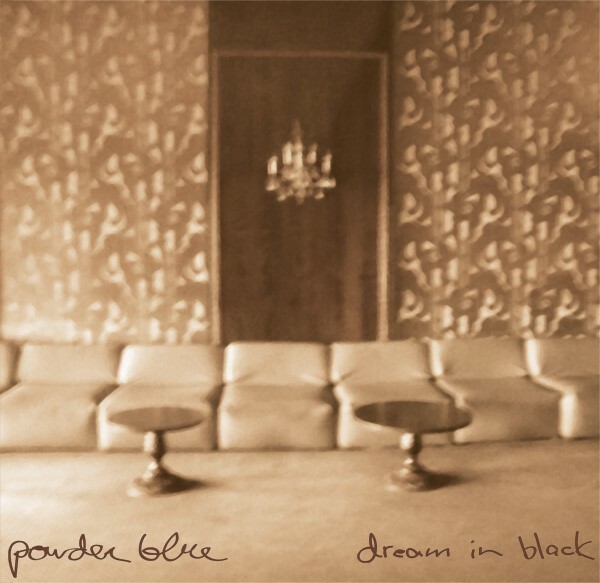 Called Dream In Black, the EP was put out under the group’s earlier name, Powder Blue, by the original all-female lineup. No time was wasted acquiring the download of that album, and hearing that soon enough prompted purchase of the very fine self-released vinyl edition. The next release came at the close of 2014 and was equally rewarding. 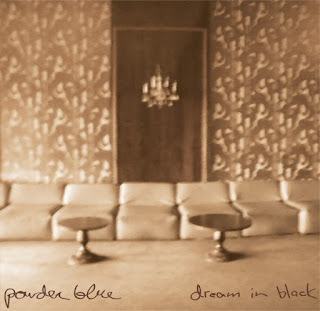 A limited-edition CD EP called II, it further explored the melancholic, shoegaze-inflected neo-psychedelic territory claimed so convincingly on Dream in Black. The new EP consolidated the strengths demonstrated by the first, featuring an additional guitarist (the first male band member) and a slightly denser sound. Both of these EPs are hypnotic, achieving the depth necessary to yield new pleasures with every spin, and are highlighted by hauntingly lovely vocal harmonies, like those on “Go On Forever” (DiB) and “Lead Me Tonight” (II), that linger in the air and mind well after the sound has stopped. Following on the heels of another membership change (a new bassist) and a new band name, the project’s first full-length album The Radiation Flowers is now available digitally and on CD from Winnepeg’s Sundowning Sound Recordings. The Radiation Flowers rounds up all six tracks from the II EP and features five new songs that represent the present lineup in its entirety. Vocalist and guitarist Shelby Gaudet has generously taken time out to answer the interview questions that follow. Can you tell us how the recent change in the band’s name came about? The Powder Blues Band sent us a cease and desist letter and they're also from Canada. Not sure how we came up with “The Radiation Flowers,” Chris suggested it and we all liked the name and thought it suited our sound too. Our band formed three and a half years ago. We were just friends that all played music and we jammed one night and it just became something from there. Elsa (keys), Amber (drums) and myself, Shelby (vox/guitar), are the founding members and now we have Chris (guitar) and Jay (bass). Can you tell how the personnel changes happened? In what significant ways if any is it different having a mixed-gender as opposed to all-female band? 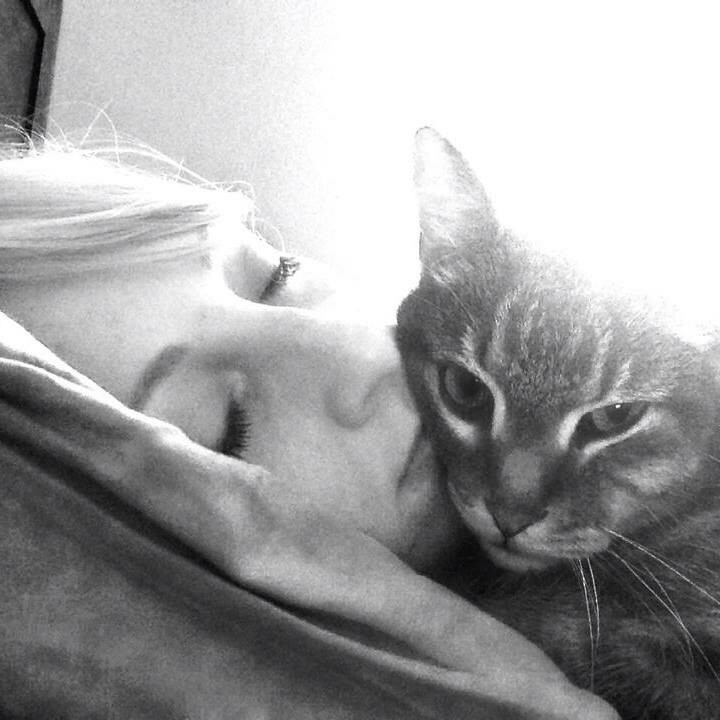 Sonia, our old bass player, quit early this year because she wanted to pursue more with her other band, The Moas. Chris joined on guitar because Elsa, our keyboardist, can't make all the tours so instead of replacing her we just can play without her now. Jay Allen who was a friend of ours and a fan of the band is now our bass player, he fits well. I don't think it matters gender-wise as long as everyone in the band is on the same page and gets along. As of now we're writing lots of new stuff. Last year was quite busy for us so it's nice to stick around home to write and record more. We are playing some fests this summer including MoSo Fest here in Saskatoon, Sled Island in Calgary, and Golden West Music Fest in Ardmore, Alberta. Vinyl of The Radiation Flowers will come eventually, it may be this year or may be next year. We can do more touring later this year or early next year. I guess you can say we fit into the “shoegaze” scene. We try not to think of ourselves as a certain genre because that limits songwriting. A lot of what I listen to though are shoegaze/psych rock bands so that probably influences song writing even if it's not intentional. I get that there have to be genres to describe a band’s sound but what I hate is “indie”—what does that even mean anymore? And how is that describing a sound? Sometimes they can end up sounding the same but I love the newer Ariel Pink. 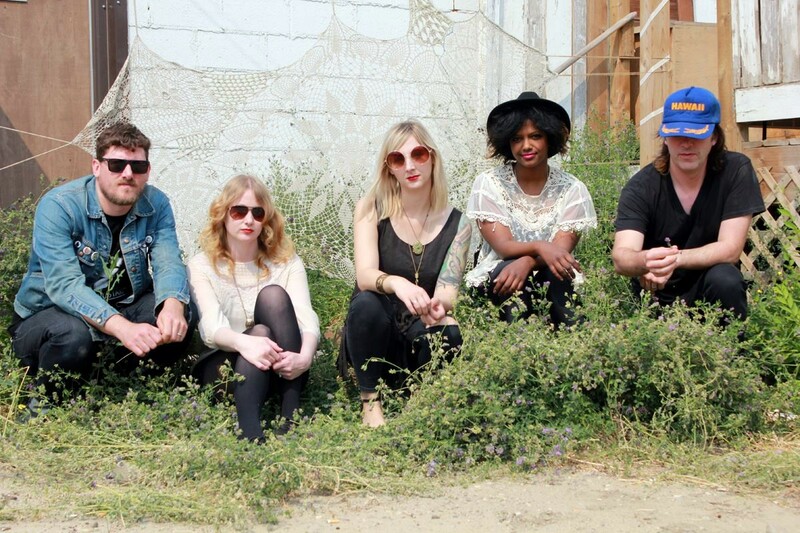 Also Crocodiles, Goat, The Brian Jonestown Massacre, Black Angels, Asteroid #4. Well everyone in the band will prob say something different. 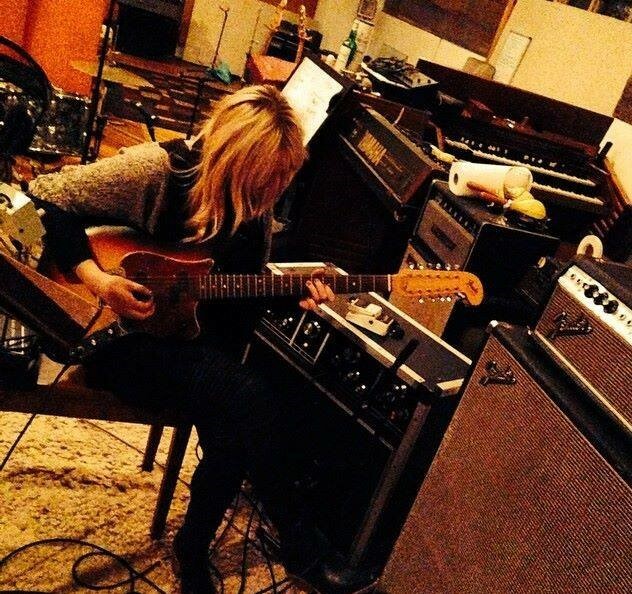 For me the guitar amps are really important. 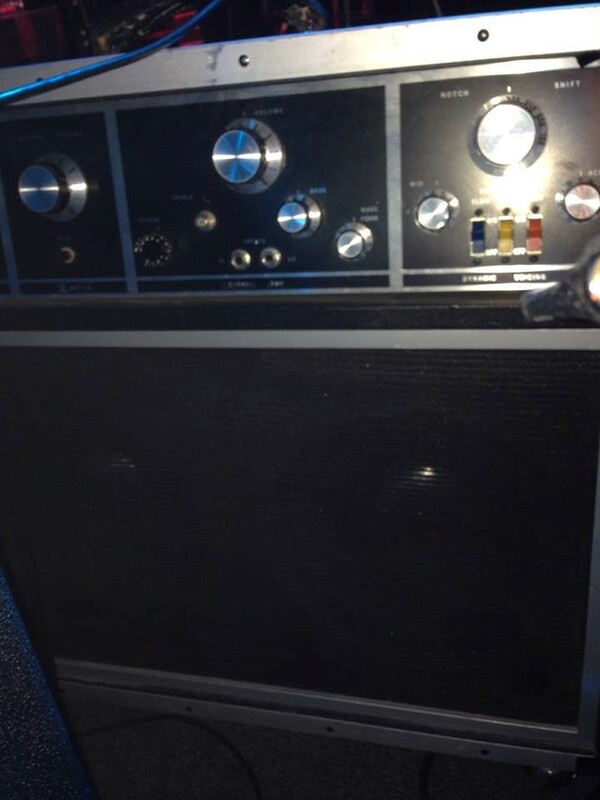 We toured Europe last year and so I couldn't bring my amp which is an SG. I had to change all my pedal presets for each amp because the tone was not what I was used to hearing and that's a pain. I always bring my amp if I can. We each have a few pedals but if we could get away with just one, for me it'd be a delay pedal. Also Elsa plays vintage keyboards/analog synths which works nicely with our sound. The last time we recorded we did live off the floor partly to save time but also to get more feeling. It's a lot more fun playing with the band together than through headphones. I think we all enjoyed that over playing separate tracks, which we did with our first EP Dream In Black. We recorded at Amber's husband’s studio which is also where we jam so we got to use all our own gear which was comfortable. I don't have much advice on this topic because I don't know much about the software. I just know how to plug in and play, kinda haha. For us we don't want our songs to sound too produced but we also don't want them to sound like we recorded at home on a tape deck. It's totally up to the band and what suits their sound. I personally don't think there is a right or wrong way to record. I don't really know how to answer this question without going on a rant! Haha I really hate the music industry. There's just so much crap because you don't need to be a musician to make music anymore. If you make music for yourself you'll never make any money which is fine but that gets hard as you get older and have to pay the bills and so people who are doing what they love eventually stop touring and no one hears of them. I'm so lucky I was able to grow up in a time where alternative music was on the radio and I got to see programs like The Wedge on Much Music. I had to save my allowance to buy a CD and since everything was not at my fingertips I had to give that album a chance and sometimes didn't get things until like the seventh listen. Now people will move on to another song if they don't like it at first. There's no patience anymore and so music is just so bland and too catchy so people like it right off the bat. Ya there's a lot of great stuff and there always will be but majority of people will never hear it because they just take what is given to them and the radio and TV are just horrible now. When it comes to label releases versus DIY/Bandcamp and the like, what is your stance, if any? It's always nice to be a part of a label so more people are exposed to your stuff and it's a bit more affordable than doing it yourself. Do you prefer vinyl, CD, cassette tape or mp3 format when listening to music? Do you have any strong feelings toward any of them? I don't really have a preference. My car has a CD player so I prefer buying CDs so I can play them everywhere and they're cheaper. 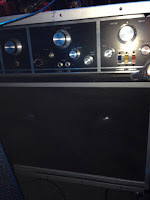 Vinyl looks and sounds nicest and tapes would be a good choice if I still had a tape player. What artists (musicians or otherwise) have most influenced your work? I remember the first time I wanted to start a band of my own and sing. It was when I saw Vivian Girls. I was listening to a lot of them and when I saw them live I was like, “I can do that.” I think I thought that was the music I wanted to make but when I started writing it was something completely different. I like a lot of sad sounding stuff and so it's more of the feeling the bands I listen to that influence me. If you had to choose one track that was the ultimate definition of your sound, which would it be and why? On our new album The Radiation Flowers I'd say “Wall of Gold.” If you own our first album Dream in Black or have heard it, this song is what you'd expect to hear from us. There are some newer songs that are a bit different for us on the new album but ya, that one is darker sounding and kinda hypnotic. Can you tell us a little about the band’s song writing process? Either Chris or myself will come up with a riff and we all jam on that. I'll usually record our jams to take home and work on a melody and lyrics. Then, we put the order together. Don't take yourself too seriously, and be patient with others—one I'm still learning! New Single: Beach House || Sparks. New Video: Drab Majesty || The Foyer. New Single: Appendixes || Persian Rugs.